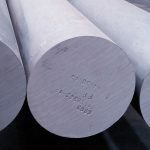 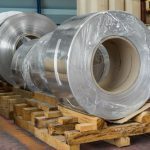 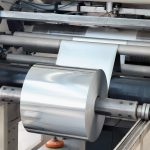 A solid aluminum cylinder called a billet (available in a variety of alloys, pretreatments, and dimensions), is heated and squeezed through a die with a shaped opening to create a desired profile. 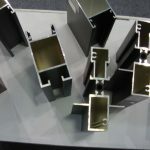 Our billets are capable of being extruded into a large range of profiles for soft to high strength applications and good surface finish for value added finishing applications such as anodizing and powder coating. 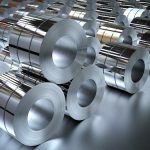 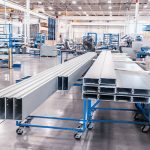 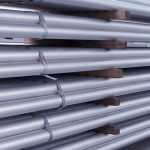 The application of different types of profiles produced from aluminum extrusion billets can be found in architecture, transport, engineering and even consumer durables. 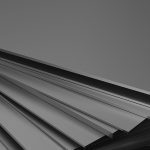 We supply the sizes from 3.5”, 4”, 5”, 6″, 7, 8″ and up to 12″ maximum. 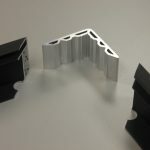 Lengths preferably at 5800mm (228″) and we also supply precut lengths.